Written for the term project of CS3710 at the University of Lethbridge. 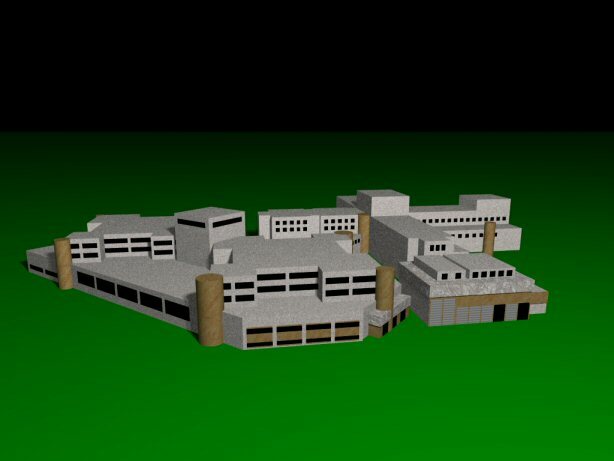 This is my recreation of the Rockyview General Hospital in Calgary created using Pov-Ray. 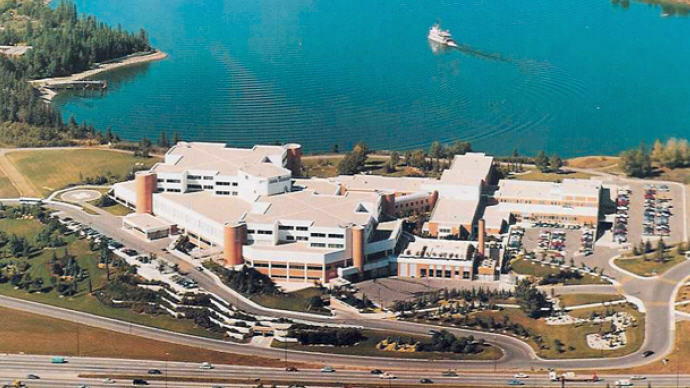 The Rockyview General Hospital consists of 2 main buildings, each which were built with a series of cubes and cylinders. windows, as well as the shading of the stone itself, and a few other additions such as the doors to the ambulence bay.